The Fitness Journal for Girls launched Monday, May 16, 2016 in support of girls in Winnipeg being active in sport, fitness and health. Over twenty local businesses and sport organizations have come together in the Fitness Journal for Girls to help girls in Winnipeg curb the national trend of dropping out of sports. The Fitness Journal for Girls is a year-round guide to everything fun and fitness in Winnipeg. The Journal is geared to girls ages 5 – 15 to try new sports and activities throughout Winnipeg, have weekly summer challenges to get active and win prizes, and Journal about their healthy lifestyle, increased self-esteem and positive outlook on health. 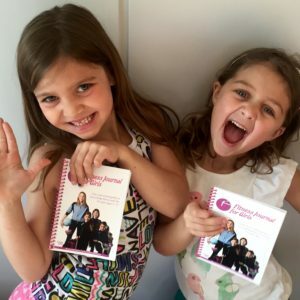 As founders of the Fitness Journal for Girls, we (Allison Gervais and Andrea Katz) created the Fitness Journal for Girls after learning that girls are up to six times more likely to drop out of sport in Canada than are boys (according to the Women’s Sport Center). Reasons for this include lack of positive female role models in sport, cost, transportation and safety issues, lack of access, social stigma of being a female athlete (‘tomboy’ or ‘butch’) and a decreased quality experience. There are over twenty local businesses and sport organizations within the Journal providing summer challenges and discounts on their programming to girls who purchase a book. Activities within the Journal for the girls include kickboxing, tennis, triathlon, swimming, wakeboarding, snowtubing, crossfit, ringette and many more. The cost of the Journal is $20 and can be purchased on-line at fitcommunications.ca/fitnessjournalforgirls or at Aevi Boutique – 1580 Taylor Avenue. The purchase price includes all taxes and shipping. It is a great gift to give a young girl in your life – whether for a birthday, a grad or just ‘because’. What other gift provides the gift of fitness, health and self-esteem? Get yours today! I used to think that people got diabetes from eating too much sugar – or so my grandmother used to tell me. I’m sure she did this so that I would stop eating candy! This is obviously not the reason why people get diabetes. (sorry Grandma!) I became educated on diabetes when my Mom was diagnosed 3 years ago. Not only was this a stress by the shear medical implications of the disease, but also because it became a huge lifestyle change for my Mom. Type 2 Diabetes comprises 90% of people with diabetes around the world, and is largely the result of excess body weight and physical inactivity. Until recently, this type of diabetes was seen only in adults but it is now also occurring in children. In Canada, more than 3 million Canadians are living with diabetes and this number is expected to reach 3.7 million by 2020. In my research, I found out that Manitoba is in a state of a diabetes epidemic. Manitoba has the second highest per capita rate of childhood Type 2 Diabetes in North America (not Type 1 – which is not linked to certain causes including lifestyle). Manitoba also has the highest rate in Canada – by a huge margin. This was incredibly alarming to learn. The questions then are why are people getting it? Can it be prevented and if you do have it, what do you do? Apart from risk factors, you CAN do things to prevent Type 2 diabetes including maintaining a healthy weight, regular physical exercise and eating healthy. The Canadian Diabetes Association (CDA) recognizes that people living with Type 2 Diabetes need help. They need resources and information in order to live their best lives. As such, they are hosting a CDA Expo on Saturday April 23, 2016 from 9 – 1 at the Wellness Institute – 1075 Leila Ave.
“The CDA Expo is for people living with diabetes and those who support them, as well as for those who are at risk for Type 2 Diabetes” says Laryssa Sawchuk, Coordinator, Public Programs and Services Canadian Diabetes Association This free event is headlined by keynote speaker Dr. Ali Zentner, MD. There will also be a presentation from Dr. Kevin Saunders, MD, who is a family physician and the Medical Director of the Wellness Institute of Seven Oaks General Hospital. According to Sawchuk, “the event offers practical and up-to-date tips on how to live a full and healthy life with diabetes.” As the focus of the Expo is on healthy eating, there will be the opportunity to ask questions to a panel of local chefs and nutrition experts. I love that the focus of the Expo is on healthy eating! I also love that this is free for anyone to attend. So if you or someone you know has Type 2 Diabetes or is at risk, please share this information with them. It will be sure to inform and motivate them to make healthy changes in their lives. To register for the event go to diabetes.ca/expo or call 1-800-BANTING (226-8464). At Fit Communications, we are on a mission to make Canadians healthier by spreading the word of health every day. We truly believe in community and supporting each other to be the healthiest and best we can all be. For more blogs about health and community please click here! Spoil your senses at Winnipeg’s 3rd Annual beer, wine and foodie event. The 3rd Annual LoveLocalMB Food and Beverage Event will be held on March 19, 2016 from 5 – 9pm at Canad Inns Polo Park. This terrific initiative began in 2014 and continues to grow, with over 500 attendees each year to sample, taste, purchase and celebrate food in Manitoba. And Fit Communications is excited about sponsoring this amazing event for the third year in a row. LoveLocalMB was created by Peter Fehr of Gourmet Inspirations and Bessie Hatzitrifanos of Bessie’s Best Foods, local Winnipeg food entrepreneurs. They both create local, gourmet, handcrafted food products. This event will celebrate and promote over 30 Manitoba food and beverage artisans. Vendors at this year’s LoveLocalMB event include Perfect Pierogies, Flora and Farmer, Rawnata, Bothwell Cheese and many more. Farmery Brewery will be on deck to ensure everyone has a sip of their delicious Manitoba-made beer as well. If you haven’t been to this event in year’s past, think indoor farmers’ market with a twist. The buzz in the room is great – it really gives Winnipegers a chance to listen to live music, taste and purchase local food products and socialize all under one roof. After a long winter, I always look forward to heading to this event – it is my window to spring! Tickets are $15 in advance or $20 at the door, and include a free glass of wine. Tickets can be purchased online at www.LoveLocalMB.com. For a chance to win tickets to this awesome event, check out their Facebook page. They are always posting up to date details of which Manitoba favorite food vendors will be there and have great contesting as well. Hope to see you there! Most of us in today’s modern society have come to the realization that in order to live long and have a good quality of life, we need to be focused on our personal wellness. Wellness is being is a “state or condition of being in good physical and mental health”. It’s a holistic view of health. At Fit Communications we are passionate about the promotion of health and wellness for all Winnipeggers, Manitobans and Canadians. As such, we are happy to share some ideas of things you can do on your own personal journey toward wellness – all in your neighbourhood, no matter where you live. In my research, I was pleasantly surprised by how many “wellness” focused activities, groups and events there are in every corner of our great province. Great job Manitoba! In addition, some of the items discovered are free! So you it proves that you can be living well no matter where you are or how much money you make. 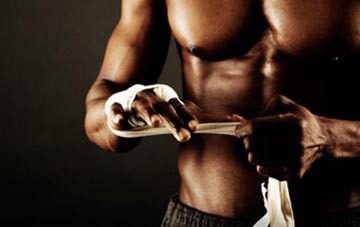 1) Exercise – not only will exercise improve your physical condition. Exercise will also reduce stress, release endorphins to create feelings of happiness, and increase relaxation. One fun way to exercise includes swimming. The City of Winnipeg, Steinbach, Thompson and most communities throughout Manitoba have public swimming pools. You don’t have to be Michael Phelps to partake. You can leisurely lap swim, jump off diving boards or take an Aquafit class. Many pools even have “free swims” to make it an affordable event for the whole family. 2) Yoga – Although it has been around for centuries, its popularity has risen steadily in North America since the 1980s. Today, yoga studios both big and small can be found in nearly every community. Yoga is both a physical exercise as well as a form of medication and spiritual growth. 3) Winter outdoor activities – staying active in the winter months does amazing things for our mental and physical wellbeing. A few local Winnipeg favourites include tobogganing at “Garbage Hill” in the west-end, snowshoeing at Fort Whyte Alive, skating on the rivers at the Forks or building a snow man in your backyard. Get outside and embrace winter! 5) Cooking. Whether taking a formal cooking class from the town’s best restaurant’s top chef or a community centre class, taking a cooking class is a great way to learn how to choose, prepare, and eat nutritionally sound and healthy foods. This will help your physical self as you attain or maintain a healthy weight, as well as prevent and treat certain diseases, such as diabetes, cardiovascular disease, cancer, and other chronic illnesses. Taking one with a friend also makes this a great outing and bonding experience to increase your social wellbeing. 6) Take an art or pottery class – unleashing your creative side. Express your emotions in a different medium. Locally owned galleries may offer classes or check your local community centre or City of Winnipeg Leisure Guide. 7) Gardening. By gardening you are getting back to nature. This is probably one of the greatest things to improve your overall wellness. Much research has been done and shown that the benefits to gardening are multiple and cover a wide spectrum. Gardening and participating in community food growing projects can help yourself and your community. They can “contribute to improved social interactions and community cohesion…reduce the occurrence of episodes of stress…reduce physical pain and improve attitudes to healthy eating”. This is especially helpful in northern communities where fresh produce is costly to bring in. Visit http://ahta.org/news/benefits-gardening-and-food-growing-health-and-wellbeing for the full list of benefits to your physical and mental wellbeing. 8) Get connected with like-minded people to do a variety of activities while building your social wellbeing. Join a few Facebook groups – or join or create a “Meetup Group” http://www.meetup.com/ The website is all about “neighbors getting together to learn something, do something, share something…”If neither of those are really your thing, look to a local studio, store or community group that hosts workshops, events etc… You can join anything from walking or cycling to photography or parent groups. I am sure there are many more ways to get fit, inspired or centered. If you have other ways, please share them – with us and your circle. Let’s pass on the positive energy! 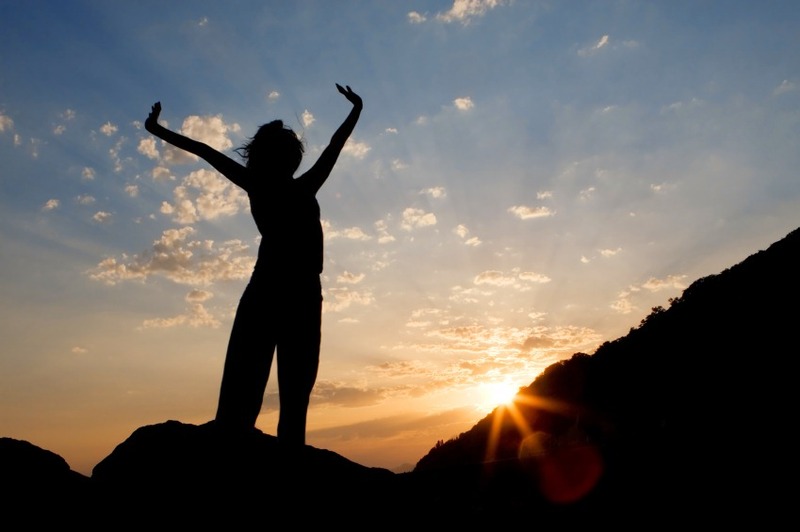 Committing yourself to your own wellness isn’t a selfish or self-centered act only about you. It’s about building your community and being “present” with those close to you. Strive for constant self-improvement to live your best life – for life is short and we only get one chance to make the most of it! As sport and fitness enthusiasts and entrepreneurs in Winnipeg, it was simply a matter of time until I crossed the paths of Lisa and Bryan Salvador, owners of LBS Yoga and Athletic Wear. LBS – Live Breathe Strive – is a 100% locally owned and Canadian-made, exceptional women’s yoga and athletic clothing line. I sat down with Lisa to find out about the inspiration and the motivation behind it all. Growing up playing sports lead husband and wife team Lisa and Bryan to be exceptionally hard working and motivated professionals. Living healthy lives and providing quality products at affordable prices to Winnipeggers with LBS motivates them on a daily basis. Their goal to become a new provider for yoga, athletic and everyday casual wear is well under-way. LBS began in 2014 as an opportunity to challenge themselves outside of their full-time jobs and to start something that was solely theirs. As parents, they like to be busy and enjoy following their wide-range of interests. Sports and self-sufficiency have always been drivers for them and have always motivated them. They started this business because it aligned perfectly with their goals. Their athletic careers have taken them through various sports and activities including soccer, hockey, ringette, fastball, volleyball and yoga. As active gym-goers and yoga enthusiasts, this power couple knows what makes for great athletic wear. Although their clothing line is currently just for women, they plan to expand to both kids and a mens’ line in the near future. As a woman who literally feels some days that I live in my sweats, a high quality active wear line is gold to me. 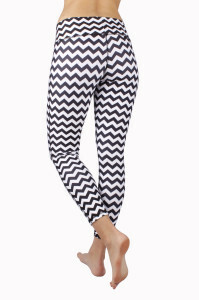 There are a huge variety of styles and colors that can easily go from the office to running errands to the gym. And that is exactly what I need. The Nylon Supplex feels like cotton – which is a very comfortable material to wear while working out or running around town. Bamboo fabric is sustainable and anti-bacterial, and drapes without clinging. And oh my word is it SOFT! And then there is the Cotton Fleece – no words can describe how soft this material is – from pants to sweaters, it’s absolutely glorious on the skin. Lisa’s overall outlook on life makes her not only want to be someone you want to support in business, but someone you want to be around all of the time. Her motto for life is simple – if you don’t love what you are doing, change it! If you want to try something new, do it! And whether you are 3 or 83, always play play play! Lisa attributes so much of her life’s success and happiness to sport. She is a terrific example of a positive role model for both young girls and women in Winnipeg. And for that, we at Fit Communications want to commend her and support LBS as much as we can. So how can you support this wonder woman? Purchase clothing of course! You can buy this fabulous line online at www.LBSwear.com or at Home Run Sports, which is open seven days a week at 20 De La Seigneurie Blvd (off Bishop Grandin in Winnipeg). And for all of our fitness trainer friends – we have a fabulous deal for you! When purchasing online simply enter the Promo Code ‘Instructor15’ and you will receive 15% off all of your online purchases. 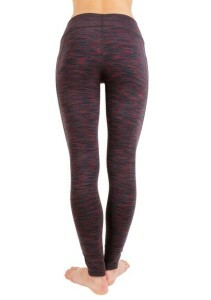 Made for truly any BODY, LBS Yoga and Athletic Wear is our new favorite find. For more great information for your health and fitness, be sure to sign up for our newsletter – Fit Communications Health News. Well, it’s that time of year again. Time to rack your brain to come up with creative and thoughtful gift ideas for everyone on your list. There are so many options for gifts but for some reason finding the “right” gift is often a tedious and exhausting task. 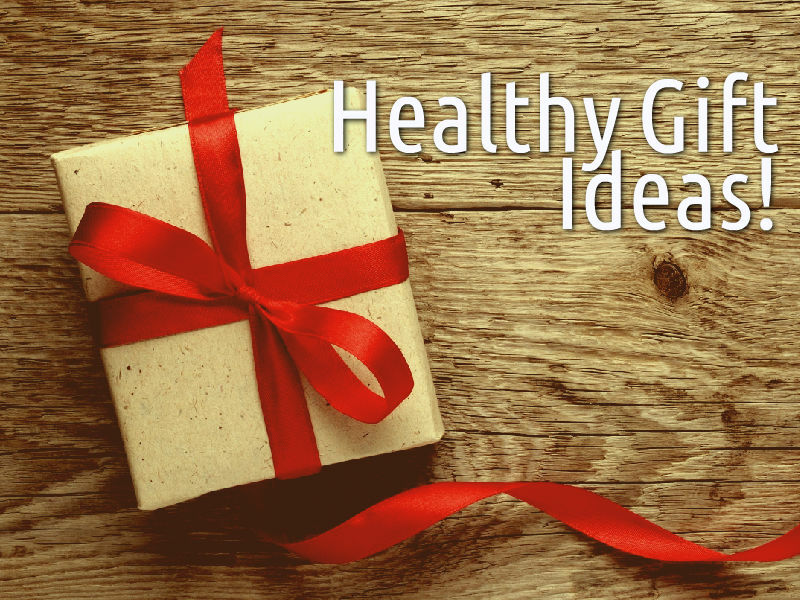 So this year, why not gift a “healthy” gift? What is a healthy gift? Good question. I would say that a healthy gift is something that will benefit the overall wellbeing of the gift recipient. It could be improved fitness, emotional state, intelligence or a combination of these. I simply can’t workout without music. It motivates me to push harder and keep my energy up. An Underwater MP3 Player would be the perfect gift for your favorite water beetle – whether seriously competitive or just in it for a great way to stay fit. Fitness Bracelets or Trackers – There are so many to choose from. Look here for a great comparison chart to help you choose what your recipient may need. like… This can be as basic as a pedometer – to use to count your steps each day. This would be great for someone who is looking to start incorporating exercise into their lives. Fingertip Pulse Oximeter – This gadget plugs right into your smart phone and allows you to measure Oxygen Saturation, Pulse rate, perfusion index and pleth variability index. You can get results workout by workout and track data trends over time. Look for this on Amazon. Amiigo Fitness Bracelet – This is super cool! This bracelet allows you to track specific things like; exercise type, reps, sets, duration, speed, and intensity. It also tracks heart rate, blood oxygen levels, skin temperature, overall activity level, and calories burned. Amiigo can determine whether you’re using the elliptical, running, swimming, doing bicep curls, squats, etc. It can track & identify different activities and then correlate these activities with physiological information such as heart rate and blood oxygen saturation. If someone close to you has expressed interest in getting fit or feeling better, eating better or a need to get educated about what any of this means, book a single or multiple sessions with a professional consultant. This could be a personal trainer or a nutritionist or life coach. One I would totally recommend for any woman in your life is Natalie Reimer Anderson. She is amazing! Umoro One – This is so smart! It is a water bottle that, with a push of a button, releases up to 1.5 scoops of whey protein mix. No need to carry multiple bottles or containers. They ship free to Canada and is less than $30. One rope to check out is Sweaty Betty for $25. So this one that I love that doesn’t cost a dime! Spend some time to do your research to find an array of resources. I’m talking specifically about things found on the web. You can provide your BFF or aunt a list of links to educational or inspiring blogs (like ours!) to free fitness classes on line (from everything from yoga to Pilates to running to boot camps to salsa fitness). All for free! If you have the internet, you can workout. Think of this as 2016 version of the “mix tape” or a homemade gift. So there you have it! Consider your shopping done – at least for all of the teens and adults on your list! I would argue that the gift of health is the greatest of all. Happy holidays! On October 22, 2015, King John Promotions will bring professional boxing to Winnipeg for the High Stakes Havoc II boxing card at Club Regent Casino & Event Centre located at 1425 Regent Avenue West. Winnipeg has been noted as one of the stepping stone cities for boxing in Canada, allowing professional boxers to take their skills and talent to the next level. Some of the biggest boxers around the globe have fought in Winnipeg on their way to the top, and the October 22 fight card will be sure to bring exceptional talent and entertainment to the ring. The High Stakes Havoc II fight card includes Mike Walkchuk from Toronto versus David Whittom from Quebec City as the Semi-Main Event in the Cruiser-weight division. These two fighters are coming to fight HARD, and it definitely promises to be an entertaining bout. Zsolt Daranyi and Stephen Zea out of Toronto who are being trained by Pan Am Games, Commonwealth Games and Canadian Olympic champion, Chris Johnson, are also on the card. Johnson has been working with these two fighters at great lengths, and their skill and promise is unbelievable. Olivia Gerula will also be fighting to defend her WIBA Championship title as the Main Event. All promising to be exceptional fights. I have been watching many of these fighters via social media and personally throughout their training camps working towards the October 22 fight card. The social media angle can bring such a unique perspective to how a fighter is training both physically and mentally. Posting photos of themselves cutting weight, training sessions and pad work, the dreaded hill runs and cardio routines they are pushing their bodies through. All with one purpose – to win on October 22 in Winnipeg. Their motivation and dedication to their sport is inspiring. On the days I don’t quite feel like heading to the gym, I can click on a video that Chris Johnson posts to his page from his 6am fighter training and my motivation floods back. There is no doubt that these fights are going to be exceptional. The athletes are training hard knowing that Winnipeg fight cards are truly a stepping stone for them to make it into the larger, more predominant fight cards around the globe. Tickets are available at Vernaus Autobody located at 160 Higgins Avenue in Winnipeg or by calling 204.982.4540, or find updates on Facebook at Facebook.com/KingJohnPromotions. It can be argued that Manitoba is in a state of a diabetes epidemic. Manitoba has the second highest per capita rate of childhood type 2 diabetes in North America. Manitoba also has the highest rate in Canada – by a huge margin. This is incredibly alarming. So what is Type 2 diabetes? It is a disease in which your pancreas does not produce enough insulin, or your body does not properly use the insulin it makes. As a result, glucose (sugar) builds up in your blood instead of being used for energy. 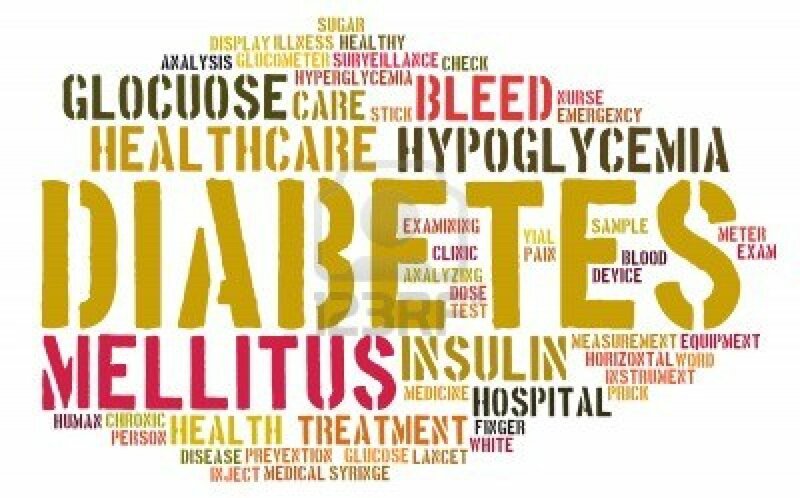 Type 1 diabetes (previously known as insulin-dependent, juvenile or childhood-onset) is when there is deficient insulin production which requires daily administration of insulin. 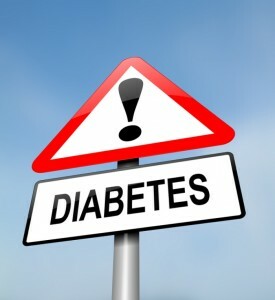 The cause of type 1 diabetes is not known and it is not preventable with current knowledge. Type 2 diabetes comprises 90% of people with diabetes around the world, and is largely the result of excess body weight and physical inactivity. Until recently, this type of diabetes was seen only in adults but it is now also occurring in children. Based on a U.S. study, a North American child born in 2000 stands a one in three chance of being diagnosed with diabetes in his or her lifetime! In Canada, more than 3 million Canadians are living with diabetes and this number is expected to reach 3.7 million by 2020. The number of people with type 2 diabetes is increasing dramatically due to a number of factors including our aging population, increase in obesity rates and sedentary lifestyles. Aboriginal people are three to five times more likely than the general population to develop type 2 diabetes. The costs of diabetes include both personal and financial. Those affected have an increased likelihood of complications such as heart disease, stroke, kidney disease, blindness, amputation and a shortened life expectancy. Financially, it’s estimated that diabetes will cost the Canadian healthcare system $16.9 billion a year by 2020. Type 2 diabetes may be prevented through increased physical activity, healthy eating and weight loss. My concern is that those that are at risk for the development of the disease are not receiving this information. Especially those in remote areas where there are high populations of Aboriginal people. In addition, even if these people did have the information, do they have access to what they need? It is no secret that fresh fruit and vegetables are not readily available in remote communities. When they are available, they are charged ridiculous prices. When money is tight, families will likely choose what is cheapest in order to provide for their families rather than what is most nutritious. In addition, are Aboriginal people with Type 2 diabetes educated on what they can do to make positive changes while keeping with their traditional cultural food choices? For those of us with internet, we can google any educational information, recipes or tips we need. Up north, this is often not an option. There are many things we, as a community, can and should do about prevention and treatment of type 2 diabetes. However, firstly, I think we all need to be aware of the seriousness and scope of the disease. Once we are all “in the know”, we can help to spread the word and encourage others to do the same. Derek Jeter, Michael Jordan, David Beckham and Anna Kournikova are all names we associate with exceptional athleticism and sport greatness. 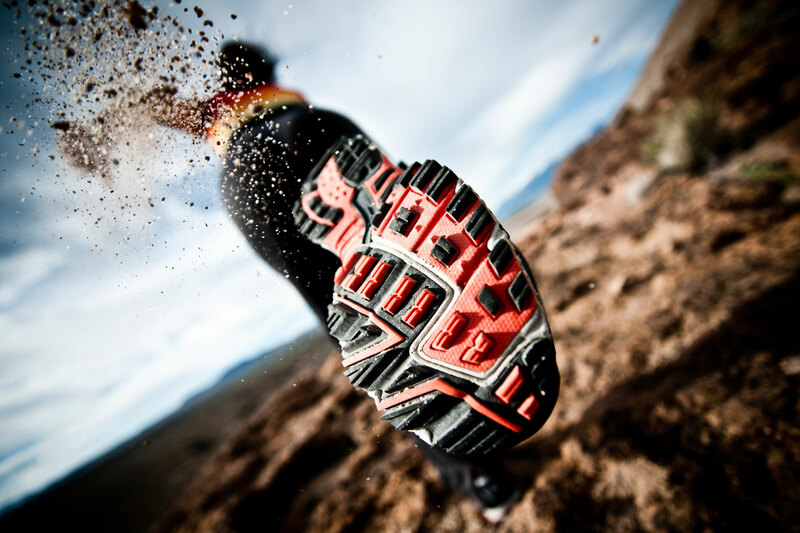 We associate some of the world’s biggest brands with them as well – think Nike, Gatorade, Gillette and Adidas. Both the tremendous athletes involved and the exceptional brands benefited from this sponsorship relationship. So in a world of numerous marketing and advertising opportunities, why should YOUR company sponsor an athlete? To begin, athletes draw huge attention from both media and a wide variety of fan demographics. With the right athlete and strategy in place, your brand can receive excellent exposure. When an athlete is properly endorsing a product or service, he or she is seen as an authentic and real user of the product. In doing so, fans of the sport, team and athlete overall will begin to recognize the product and feel a sense of connection. When your consumers feel connected to your product, they build loyalty and your sales will increase. Endorsement of your product or service by an athlete (or team or athletic event for that matter) initially creates brand exposure. Whether you are trying to gain traction in a new market or increase sales in a current market, additional exposure is key. The benefits to your brand and business include increased recognition, thought, loyalty and finally purchasing of your product or service. Think of when Nike brought on Michael Jordan in the 1980’s. Nike was already a very established brand, although bringing on Michael Jordan and creating the complete Jordan Brand line, including the Air Jordan’s basketball shoe phenomenon, has made their company and brand further explode. Michael Jordan will take home $80 million this year from his sponsorships, brand affiliations and business endeavors. The Jordan Brand line controls almost 60% of the basketball shoe line, which means $1.75 Billion annually around the world (including apparel). So why was Jordan, and other athlete like him, so successful when it came to their sponsorship? Why did this work out so exceptionally well for Nike? The obvious answer of course is that Michael Jordan is one of, if not THE best, basketball players of all time. If he told everyone to wear this basketball shoe because it will help their game, people will buy. But it is more than just success on the court that has made Jordan and the Nike brand so successful. Athletes bring so much more to the table than simply athleticism. Athletes bring a sense of knowledge and affiliation of the sport to their audiences. They connect to their audiences like no other. They have a loyal fan base of not only them as individual players but their entire team as well. For example Canadians cheer for Desiree Scott as a tremendous soccer player on Team Canada, but we also cheer for the entire team. This additional brand exposure is so helpful. The individual athlete that your company chooses to sponsor brings forth their individual personality, physical attractiveness, personal background, role model qualities and relationship with fans. Their social media followers, event goers and ambassadors to the sport now come to YOUR brand too. Choosing an athlete that your customers can feel connected to is important. Someone who represents your target market and can relate to your customers. At the end of the day you need to choose an athlete who represents your desired image and who can help sell your products. If you customer were a young mother versus a 21-year-old basketball player, you would of course choose very different athletes to sponsor. Properly identifying your customer and then choosing your athlete strategically is key. The great thing about athletes is their passion, drive and motivation to make everything they do a success. Their positive outlook and attitude comes to life both on and off the field. They can connect with both their established fan base and yours, in turn increasing your brand awareness and sales. If your company is looking to sponsor local or national athletes we would love to connect you with some exceptional people. Give us a call…we’re super nice! On May 8 and 9 Buy Manitoba launched 17 food products made right here in Manitoba in three Red River Coop Ltd stores for a terrific local extravaganza. Southdale, St. Vital and Grant Park Red River Coops will now carry 17 locally produced food products. Not only is this a great initiative for these Red River Coop locations being new to Winnipeg, but it truly showcases the supportive nature of the Manitoba government and the Buy Manitoba brand to local food producers. 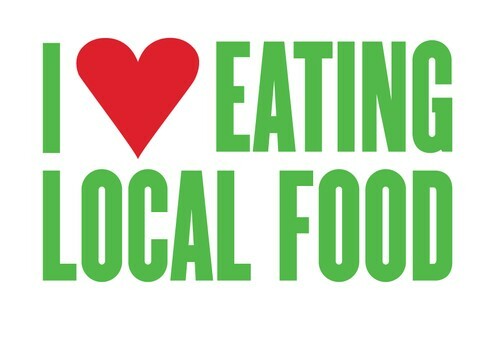 At Fit Communications, we are huge supporters of the local food industry. Our kitchens are filled with some of our Manitoba favorites. The food producers in Manitoba tend to be very passionate foodies, and utilize local, real ingredients in their goods. This week’s blog I wanted to share with you some of our favorite Manitoba-made products that you can now purchase at Red River Coops. Perfect Pierogies – if you’re in Manitoba, a few things you definitely know are socials, lake country and pierogies. Perfect Pierogies come in five different flavors of deliciousness – Cottage Cheese, Sauerkraut, Potato and Cheddar, Spinach and Feta and their newest addition, Spicy Chili. All made with Manitoba-grown potatoes, cooked with garlic for a delicious taste, and sautéed with only real onions – nothing dried or powdered. The addition of sour cream to the dough creates a soft tender pocket for the filling. With zero trans-fats and no salt added, they are delicious. Bessie’s Best – this girl brings more energy and enthusiasm to the local Manitoba food industry than anyone I have ever met. And even better? Her Award-winning Mediterranean dips and sauces. All of her products are hand made, natural, organic and gluten free. And did I mention delicious?! You can always find Bessie at the local farmers markets as well, showcasing her seasonal products. Keep your eye on this girl – her dips and sauces will be a household name one day! Dairy Fairy – these traditional European cheeses are all made right here in Manitoba from local cow’s milk, and promise a delicious, healthy product. This delectable and diverse cheese is great for baking cookies, breads, crepes and perogies. As an alternative to goat’s cheese or feta, it can be used on top of salads, in a sandwich or sprinkled on pasta. With lots of flavors to choose from, you should definitely have some on your next cheese plate. Danny’s Whole Hog BBQ and Smokehouse – unless you live under a rock, you definitely know Danny and his thumbs up! Not only is Danny a person who is always giving back to the community, but he puts more passion into his food than imaginable. Always coming up with new products for his customers to try, Danny brings tastiness to everything. Danny’s Pork Turkey and BBQ Sauces are now available at the Red River Coops. Seriously – go get some! Rawnata – I have been enjoying the wonderful products from Rawnata for over two years, and truly can’t get enough. These raw seed, functional ingredient hemp snackers and flax crackers maximize nutritional content and flavor. These might be my favorite local product…made with love and health in mind, I would strongly encourage everyone to pick up a package and try them soon. They bring a flavor and taste to your mouth like no other.